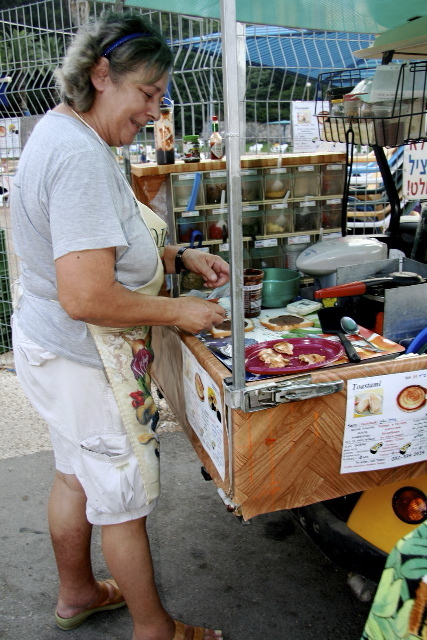 One of our readers, Tamar Yaron, recently reached out to us with her plan to set up a fleet of mobile carts to sell sandwiches. Tamar is looking for folks who might be interested in helping her business get off the ground. I want to set up a cooperative of mobile carts or trailers or trucks, to sell toastites* and the toastite utensil but I can’t do it with the stove-top model – it must be electric. An electric toastite maker will also be much more efficient, toasting the bread on both sides at once and being temperature-controlled and timed automatically. I made a plan for an electric toastite maker and brought it to a machine developer company. 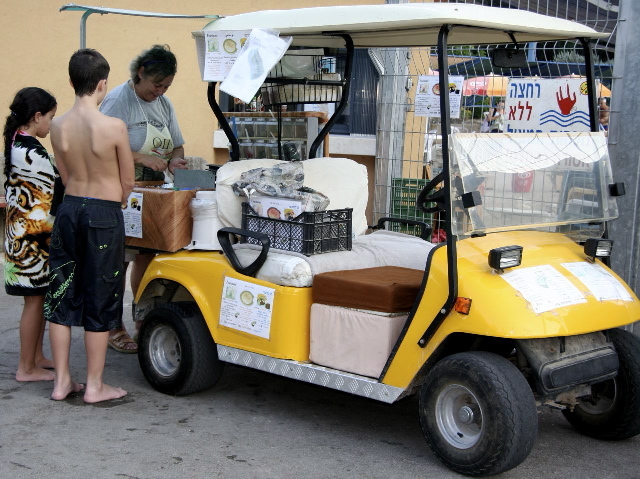 They could make a working prototype but it would cost about $14,500 U.S. That’s very steep for me, living on a kibbutz (cooperative) most of my life, so I’m wondering if some of your readers would be interested in investing in such a project. If we then get it manufactured for sale to sandwich shops, restaurants and private individuals, the toastite may become the popular item it was in the 1950’s. 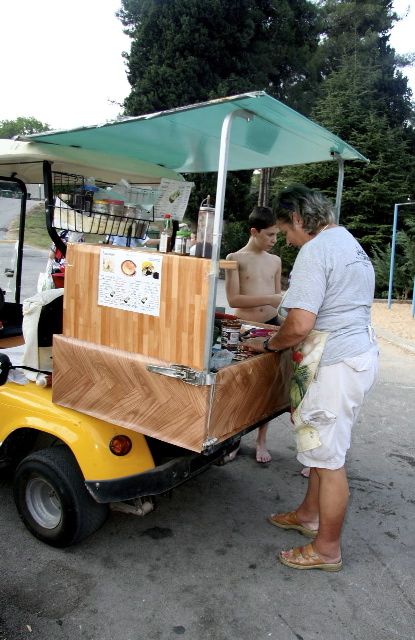 * I did try selling toastites on my own for a while, but couldn’t get a license for the vehicle (an electric golf car), nor for the gas stove I was using. For more information, you can reach Tamar at tiyaron@gmail.com.